Guitar tuners are important for experienced players, but they’re especially important for beginners. The market for guitar accessories is nearly endless, so it’s quite easy to get lost in the products. However, few products are important as a high-quality guitar tuner. 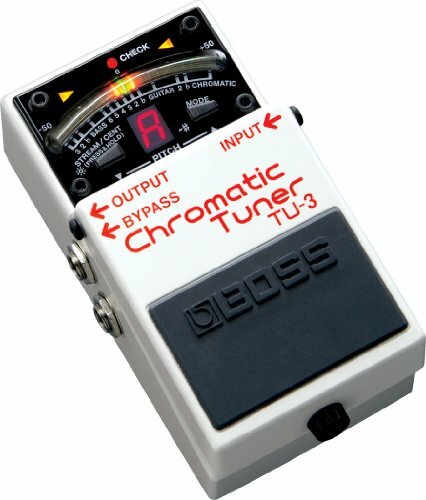 Before purchasing effect pedals, you need to buy a tuner. A common problem for beginners is getting their guitar to sound the way it should. A tuner is needed to make sure your guitar is playing the right notes. Although there are other types, the three major types of products that you can choose from are pedal, pocket and clip-on tuners. Most clip-on tuners are ideal for tuning acoustic guitars but can be used on all guitars. They use a high-sensitivity piezo sensor to measure notes. Below, we’ve listed the top 10 best guitar tuners. BOSS TU-12EX Chromatic Tuner This successor to the legendary TU-12 provides BOSS famous needle/LED indicators for fast, accurate tuning. If you’re looking for a very inexpensive tuner, it will be difficult to find something better than the Snark SN-5 Clip-on tuner. While this tuner is made from cheap plastic, you shouldn’t underestimate its abilities. It really is one of the best clip on guitar tuners for the money. A tuner should do the job it was made to do, and you’ll find that the Snark SN-5 does exactly what it has been designed to do. It uses a microphone and piezo sensor for tuning. The display offers plenty of brightness, so it’s easy to see what you’re doing. It can be rotated 360 degrees and has a feature for battery preservation. The Snark SN-5 is an excellent tuner for the price, and it’s ideal for guitarists who don’t want to worry about losing an expensive alternative. A great high-end product is the Peterson VSS-C Strobo Series Stomp Classic Tuner. 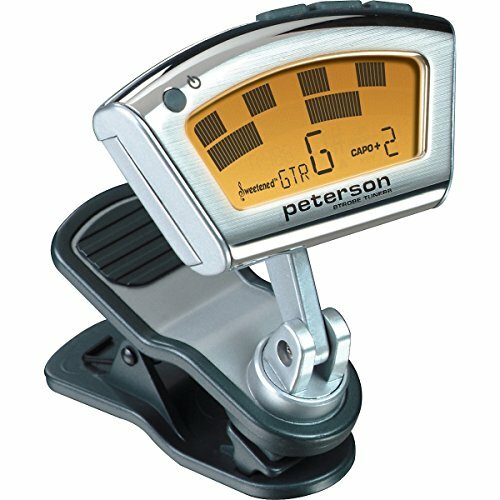 When it comes to modern guitar tuners, Peterson is an industry leader. The Peterson VSS-C is very accurate and doesn’t take long to lock onto notes. Since it’s big and heavy, it looks and feels like a well-built product. The tuner is equipped with several different features, and you get 25 sweetened tunings. You’ll find this tuner useful for bass and guitar. It even has settings for bluegrass and steel guitar, and the pedal can be operated with active DI, true-bypass and monitor settings. If you’re someone who’s OCD about your guitar being tuned perfectly, the Peterson VSS-C is a great product to own. This tuner is somewhat famous among guitar players. Since it’s the successor of the popular TU-2 tuner, most experienced guitar players have heard of or use this tuner. The classic design of this tuner’s pedal is what really makes it popular. The classic design makes this tuner’s pedal blend well with all other pedals. Another major benefit of the Boss TU-3 is the display, which is even easy to read in direct sunlight. Many tuners don’t have a very bright display. You should consider this top tuner because it’s easy to use, made to last and features a classic design. It delivers great functionality and works especially well for professional guitar players. 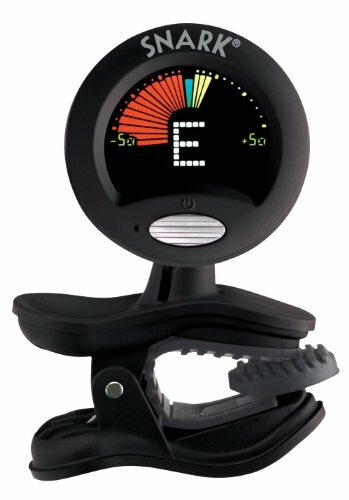 Here is another top tuner for guitarists. 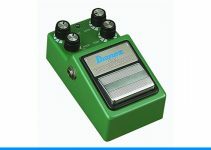 When it comes to guitar pedals, you won’t find a product that is more straightforward than this one. After pressing the switch with your foot, guitar sound is muted. Next, you must turn the tuning pegs. If you strum all of the strings at the same time while using this tuner, you’ll notice a feature that sets this tuner apart from competing products. You can use the TC Electronic Polytune 2 to tune individual strings, but when you strum all of the strings, you’ll see that it can tune all six strings at the same time. 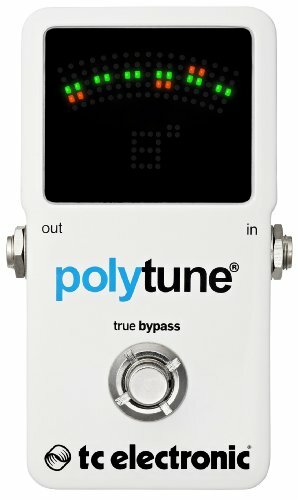 By strumming the strings, you can switch the tuner into polytune mode. This tuner offers the simplest, fastest way to tune an electric guitar. Korg is a well-known band among guitarists. If you need to tune your guitar, this compact stage tuner can give you everything that you need. It’s ideal for average guitar players and features a durable die-cast casing. It has a bright LED screen, which makes it much easier to see what you’re doing. You can power this tuner with a 9V battery or power adapter. When compared to other pedal tuners, this model is a bit smaller, so it doesn’t steal too much space on your pedalboard. Since it has a true bypass, this tuner won’t mess with your sound when it’s turned off. If you consider the price, you get an incredible amount of value from this tuner. It delivers precision and durability that you won’t get from many other products. Here is a top guitar tuner for high-range guitar players. This device is made for precise tuning, and while it’s great for guitars, it can also be used for violins, pianos and several types of string instruments. The BOSS TU-12EX is the successor of the popular TU-12 model. If you’re looking for a product with a physical needle, then you’ll love this tuner. After purchasing and receiving this product, you’ll instantly recognize its premium look and feel. All of the controls are very straightforward, so you shouldn’t have any problems using this product. 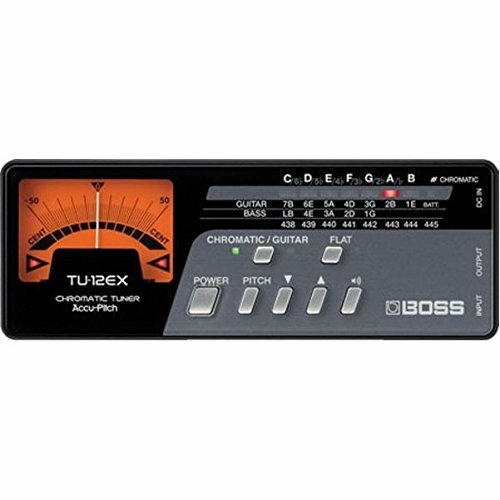 The BOSS TU-12EX Chromatic Tuner is recommended for perfectionists. With the analog needle, you can see even the slightest note changes. However, perfection does come with a higher price. 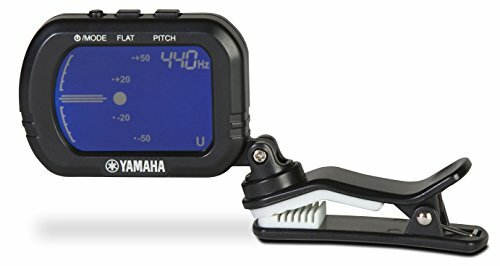 A top, and also budget friendly product from Yamaha is the GCT1 Clip On Tuner. Unfortunately, many Yamaha products are underrated by guitarists, and this product is a great example. 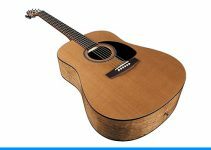 While Yamaha makes amazing keyboards, they also have several high-quality guitars and tuning instruments. Although this guitar tuner is a bit more budget than similar products, it can deliver a better tuning experience. The microphone responds quickly and makes it easier to tune in a noisy environment. Certainly one of the best clip on tuners around, especially in this price bracket. 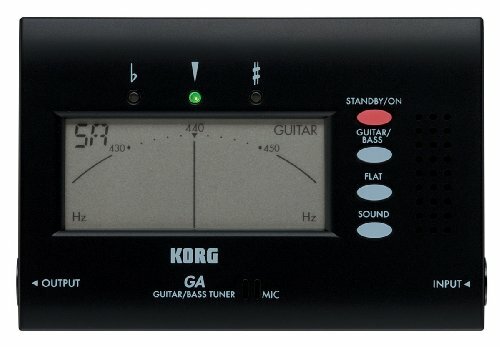 If you’re looking for a top entry-level tuner, consider the Korg GA-40. Since it features a compact size, you can take it anywhere. It’s designed to make tuning easier for the beginner. It has a decent microphone, but you’ll need to make sure there is minimal background noise while tuning. There is an input jack that is conveniently located on the side of the tuner. The output jack lets you keep the guitar constantly connected. What really makes this guitar tuner stand out is the simplicity. Overall, it’s one of the easiest tuners to use. You don’t have to plug it in or attach it to your guitar. You can place it on your lap while you tune. 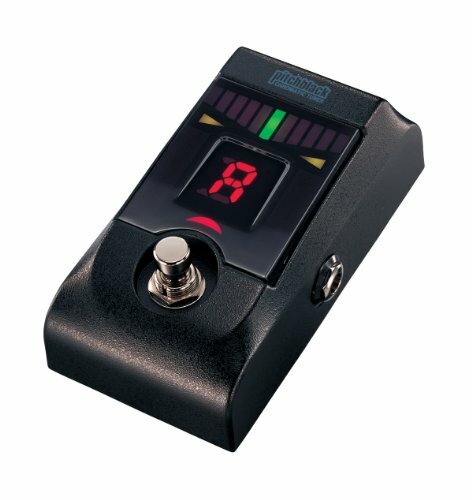 If you’re looking for one of the only strobe clip-on guitar tuners on the market, this is a great product to consider. When it comes to electronic tuners, strobe tuners are the oldest forms known. Peterson has been making these products from the start. This guitar tuner compares a note played with a reference frequency, which makes it extremely accurate. The tuning process used by this product is quite a bit different than what you’d experience with a typical chromatic tuner. 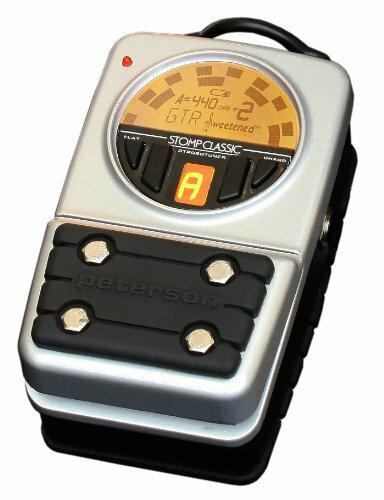 The Peterson StroboClip tuner displays a spinning strobe. If you desire a greater level of accuracy than you’d get from a standard tuner, this is a top product to consider. Another advantage is that it doesn’t require a silent environment, so it’s ideal for noisy gigs. 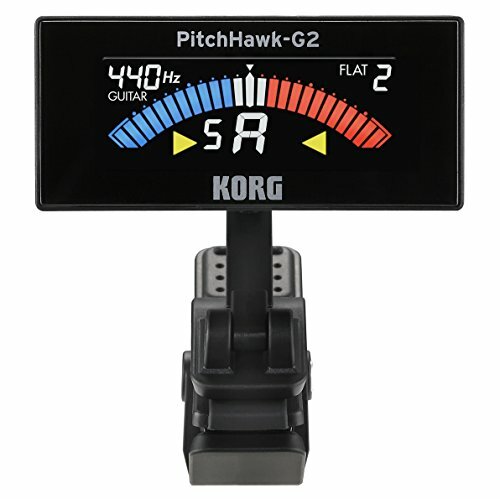 One of the best guitar tuners is the Korg AW3G2BK PitchHawk. Since Korg is well-known in the music industry, you can trust the quality of Korg products. 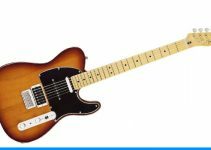 Although they specialize in creating various musical instruments, the company is also known for tuners and guitar effects. When compared with a product like the Snark, this clip-on tuner ranks a bit higher. It features a much better build quality and has a beautiful LCD display. It can also measure notes with a much smaller error margin than tuners from the same price range. This product is ideal for guitarists who’re looking for a cheap, accurate guitar tuner. If you play a nylon or acoustic guitar and don’t want to spend too much money on your first tuner, this is a great product.